The 2018 Volkswagen Tiguan interior is one of the many things that set this remarkable crossover apart from other cars on the streets of Lawrence. In addition to the People First Warranty bringing peace of mind to Tiguan drivers from Andover to Haverhill, you can depend on decades of precision engineering and design for one of the most comfortable cabins. We’ve got the highlights below. Do you like it cool? What about hot? With dual-zone climate control, you can make your passengers comfortable without freezing or melting in the driver's seat. Between the available 1st and 2nd row Vienna leather seating (in colors like Storm Gray or Saffrano Orange and Black) and leather-wrapped steering wheel, the interior of the Tiguan is built for class and durability. 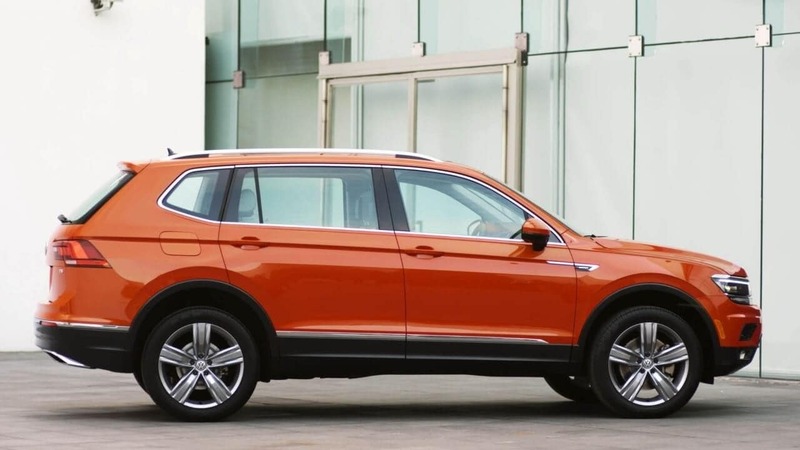 The Tiguan is a refined vehicle, but it is also an SUV and that means an available third row of seating. If you don't need it, you can always fold it flat to maximize your cargo space. The cargo capacity of the five-passenger Tiguan has been increased by over 30%, to a maximum of 73.5 cubic feet with the rear seats folded down. Between the personalized driver display (with up to 4 available profiles), an available wide map navigation view, an available Fender premium audio system, and some of the latest in connectivity technologies, the 2018 Volkswagen Tiguan interior might feel more like home than your favorite recliner. Let us help you find the right Tiguan for you; visit Commonwealth Volkswagen in Lawrence today and take a new VW for a test drive.